Missing Child Protocol | Wellwood Orchards, Inc.
Wellwood Orchards, Inc has collaborated with the Weatherfield Police Department to establish a Missing Child Protocol for our orchards. We have a plan in place that will be implemented in the event that we learn of a child or person missing at Wellwood Orchards. 1. Take a picture of your child before leaving the house. This is important to show others/police in the event the child goes missing. It also reminds you of what the child was wearing. This is especially important when attending large events! Please stay calm and alert staff right away if your child is missing. 2. Teach your child about our STARS. You will see yellow stars at the orchard. 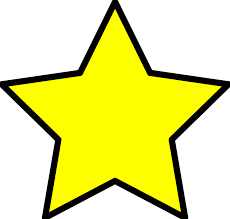 If your child is lost from you, tell him to stand under the STAR and stay there. Tell him not to leave that spot. When a staff member sees the child they will wait with him until you arrive. YOU will also know to go to the STAR as a potential meeting place if your child is missing. We will have a few STARS placed in the orchard during apple season as well. Please point them out to your child. 3. ALERT US IMMEDIATELY IF YOUR CHILD IS MISSING. PLEASE STAY WITH US AND ANSWER THE QUESTIONS ON OUR FORM TO HELP FIND YOUR CHILD. 4. We have an alert system which will be a LONG blast of an air horn. If you hear this, please be alert. We will prohibit anyone from leaving the farm until their car is searched. 5. We will notify the Weathersfield Police Immediately. The difference in Wellwood's is flavor!